(Editorial) – The time has come for the National League for Democracy (NLD) to decide whether it should register as a legal political party under the Union Election Commission. As Burma delicately walks the path of democratic transition, a process that could easily be undermined by the countervailing interests of various groups, the decision is a potentially pivotal moment in the country’s political future. At this critical juncture, what should the NLD do? Will the party opt to remain un-registered, because it is unwilling to compromise its stance or will it choose to register and focus on capacity building and organizational development? Because the NLD has consistently championed national reconciliation, registration is surely the best option. Isolation is not a viable alternative: it is time to engage with domestic and international stakeholders. Critics of the pro-registration camp quickly point to a number of reasons why the NLD should remain outside the legal fold. Their reasons include the nearly 2,000 political prisoners who remain incarcerated, ongoing human rights abuses and fighting in frontier areas. Yet, there are even bigger factors. 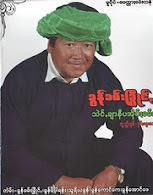 For one, registration could be viewed as giving legitimacy to President Thein Sein’s government, and it could be construed as capitulation on the part of the NLD after 21 years of resistance. However, the primary hurdle remains a pervasive doubt and distrust in opposition politics after decades of suffering under various forms of authoritarian governance. But, things have changed in Burma. Though regulations and various events prevented the country’s main opposition party from registering prior to the controversial 2010 election, recent alterations in the political party registration bill, now awaiting President Thein Sein’s signature, offer new opportunities. Significantly, under the initial political party registration law, no political prisoners could be party members and NLD leader Aung San Suu Kyi was ineligible to stand as a candidate. Moreover, Suu Kyi has now met with the government’s appointed liaison minister four times in the past four months, in addition to meeting with President Thein Sein. Both sides have spoken positively of this engagement. It cannot be denied that Burma’s opposition leader now has a voice in the affairs of the country inclusive of finance, trade, domestic peace and amnesty. This is surely preferable to isolation, and it is a voice and influence that will only grow once she and her party are recognized as legal entities within the political system. Now the time for Aung San Suu Kyi and her party to register, organize, improve capacity and engage with the grassroots level. We have witnessed the opposition's resistance, its heavy sacrifice and its commitment to democratization. These are all principle factors in the new opportunities that exist today. While it is understandable that many would like to see substantive changes sooner, it is unrealistic to expect deep-rooted problems to be solved overnight. Therefore, complacency and the loss of momentum in the reform process must be avoided at all cost. If there is a loss of momentum in the drive for greater democracy, extremists on all sides are liable to hijack the political process, proposing unilateral and heavy-handed solutions that would only serve to further postpone any hope of national reconciliation. We hope the NLD will announce its decision to become a fully functioning political party as soon as possible, dedicated to working for democracy within the Parliament as well as in its traditional areas of public service.